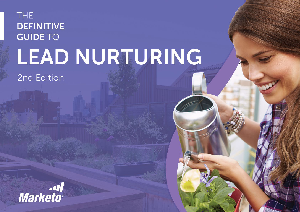 Download The Definitive Guide to Lead Nurturing to explore lead nurturing through thoughtful explanations, industry thought leader interviews, checklists and charts. Use it to look beyond email and incorporate the many channels your buyers use into your lead nurturing strategy—from in-store to mobile to social. By the end you will know how to establish a strong relationship with your buyer to build trust and as a result, deliver more sales-ready leads.